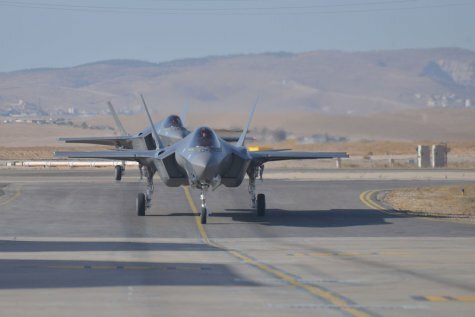 Three additional Lockheed Martin F-35I combat aircraft, known as “Adir” in Israeli Air Force, service, landed yesterday (Sunday) at Nevatim air base, located southeast of the city of Be’er Sheva, and were inducted into the IAF’s 140th “Golden Eagle” Squadron. The aircraft are shortly expected to begin taking part in the IAF’s operational activities. Meanwhile, additional air and ground crews are being trained, and are expected to be integrated into the IAF’s "Adir" operations in the coming months.